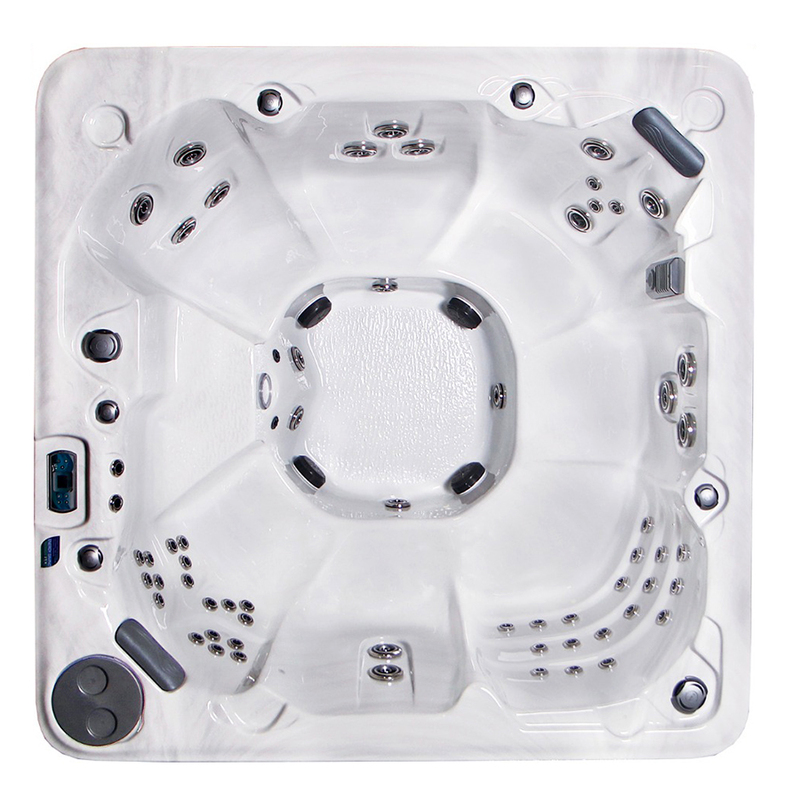 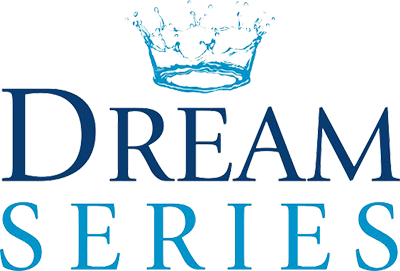 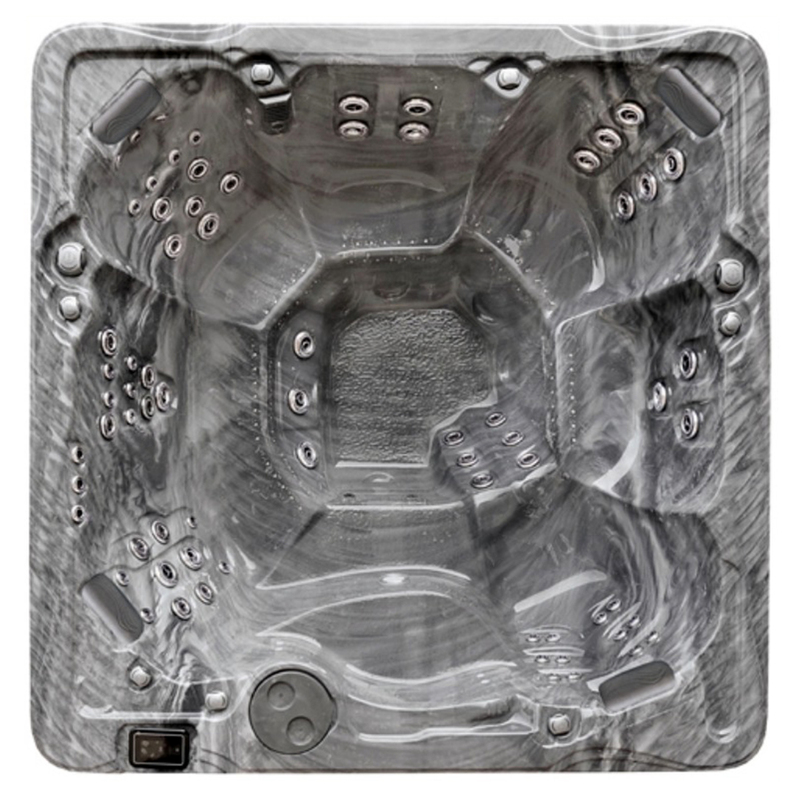 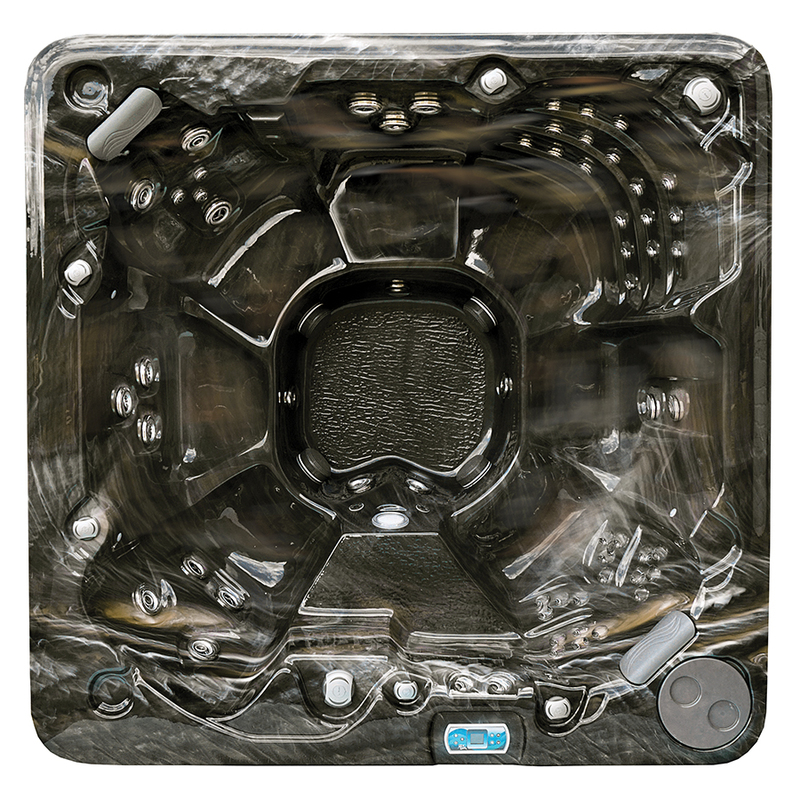 For those seeking the very best in hot tub luxury and performance, the Aruba Hot Tub from Crown Spas is sure to exceed even the most demanding expectations. 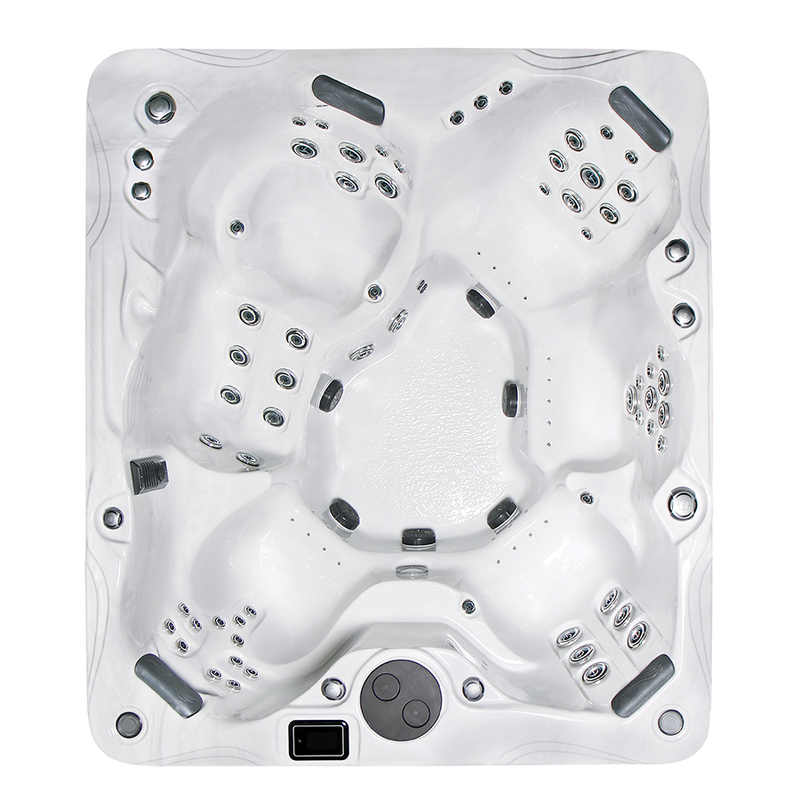 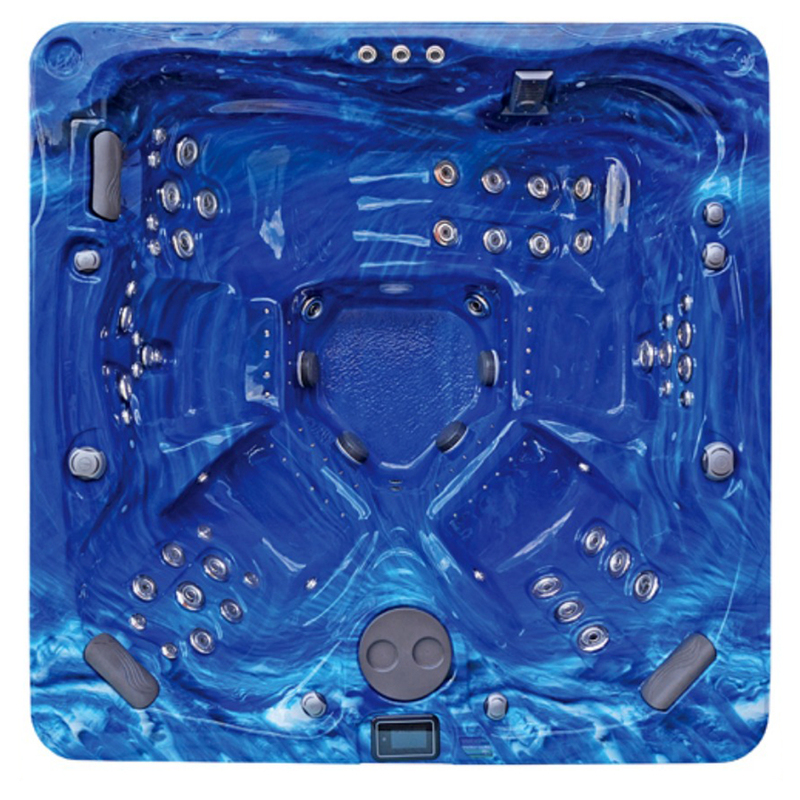 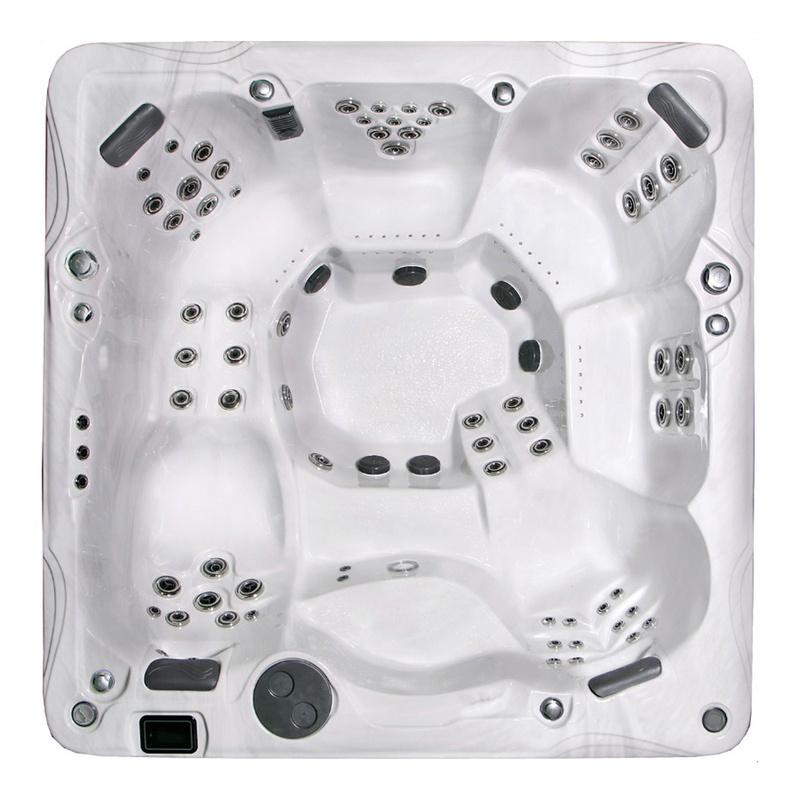 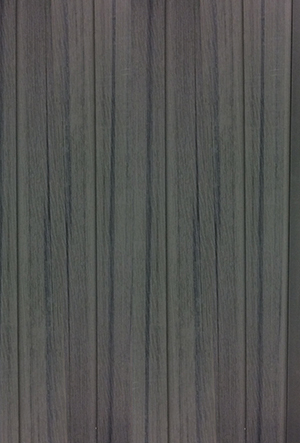 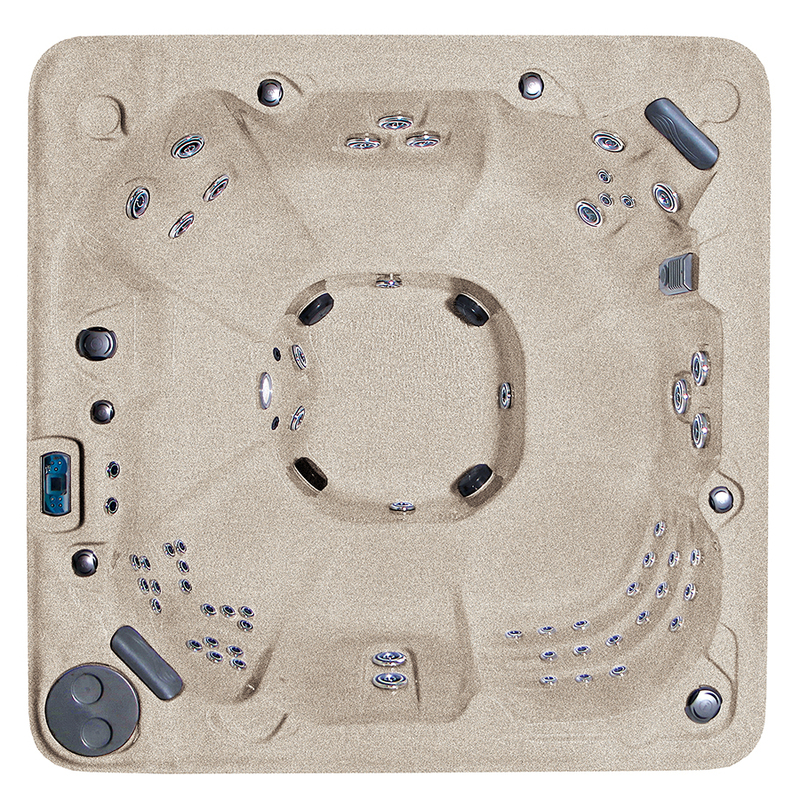 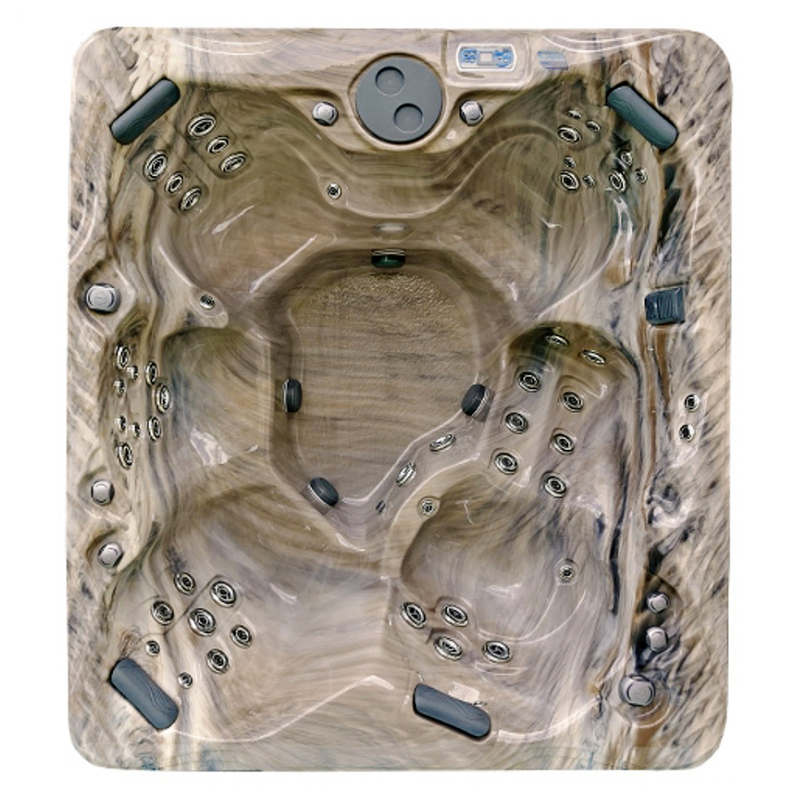 The Aruba Hot Tub features a square design with a variety of seating options. 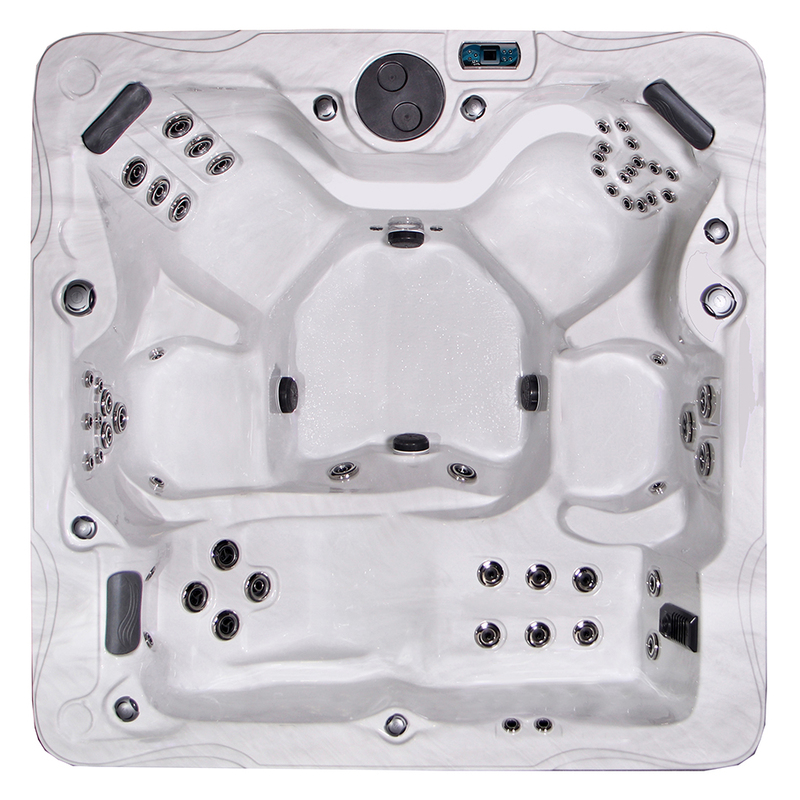 The lounge-inspired seating arrangement is comprised of five (5) seats, four of which feature a contoured bucket design with armrests for enhanced comfort. 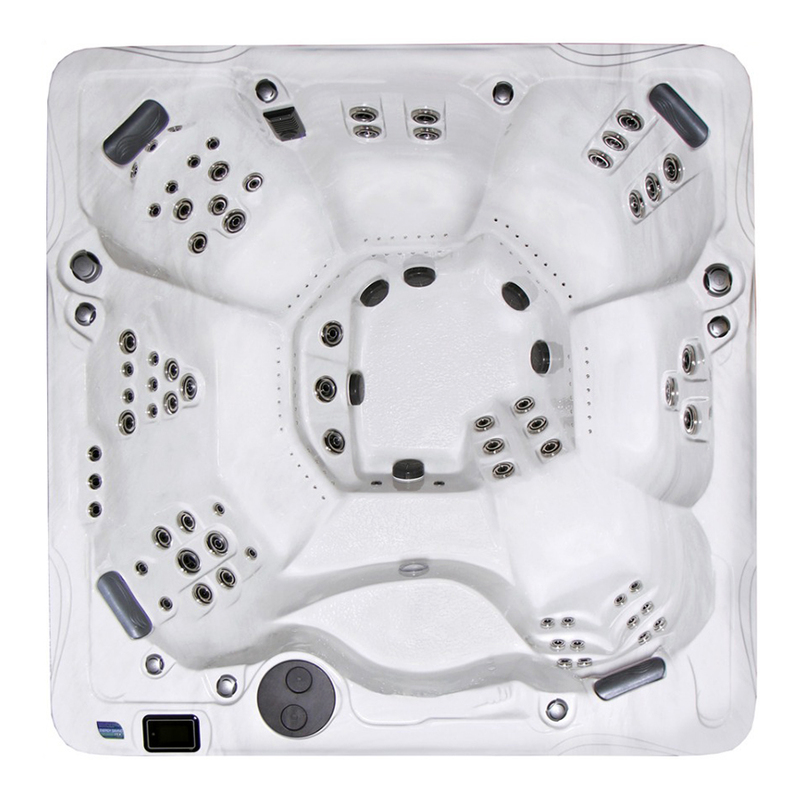 Masterfully-positioned arsenal of up to 101 jets includes up to 58 hydrotherapy jets, as well as the optional 43 spa air massage jets to ease tensions.